The Volintegration project ran simultaneously in 12 countries all over Europe. It aimed to establish a European network of different bodies to promote volunteering as powerful means to develop sense of belonging both to local and European communities and creating a feeling of ownership and therefore commitment toward society. At the same time we wanted to inform young people and youth leaders on European opportunities for social inclusion and integration. The target groups were young people from disadvantaged backgrounds, youth workers, and local authorities responsible for youth and social policies. Networking activities included best practices exchanges, trainings, information activities and pilot projects on volunteering as a tool for social integration and inclusion. 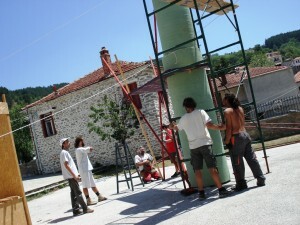 The project ran from January 2008 till December 2008 with meetings, seminars, trainings and pilot projects. It involved over 30 youth workers/leaders, more than 150 young persons (some of them with few opportunities) and different representatives of local authorities. We produced a video on volunteering and social integration of young people with fewer opportunities. You can find more information at the project’s official website. There you can also see a photo album and some videos illustrating the different activities that happened.